On Fridays, Modern Dog Magazine have giveaways on their Facebook page, and they call it "Friday Freebies." 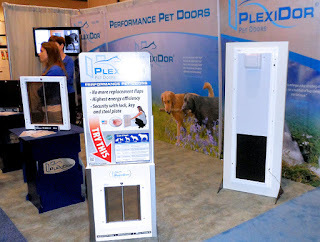 This Friday (March 1st) they're giving away a large PlexiDor Pet Door! 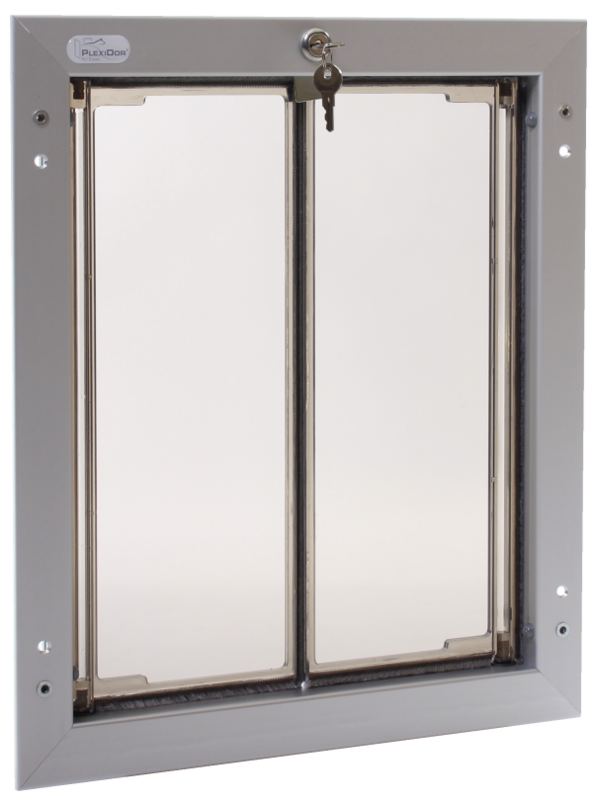 The large door is recommended for dogs up to 100 lbs, but the panels open so easily that smaller dogs can use it without problems. The contest opens at 9 AM PST, which is noon eastern time. To enter, visit Modern Dog Magazine's Facebook page, and comment on the post about the door, telling Modern Dog why you want it. To read more about the door, visit www.plexidors.com! At last week's Global Pet Expo, one booth caught attention through two magnificent Golden Retrievers. 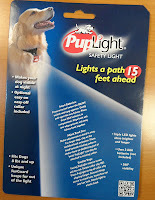 They showed the PupLight - a flashlight designed for dogs. Why would a dog need a flashlight? Excellent question. In my case, we live by a large road, and one of my dogs loves late night walks. I always worry the cars won't see us, and having her carry her own flashlight seemed like a good idea. It works; all of a sudden, the cars gave wide berth. 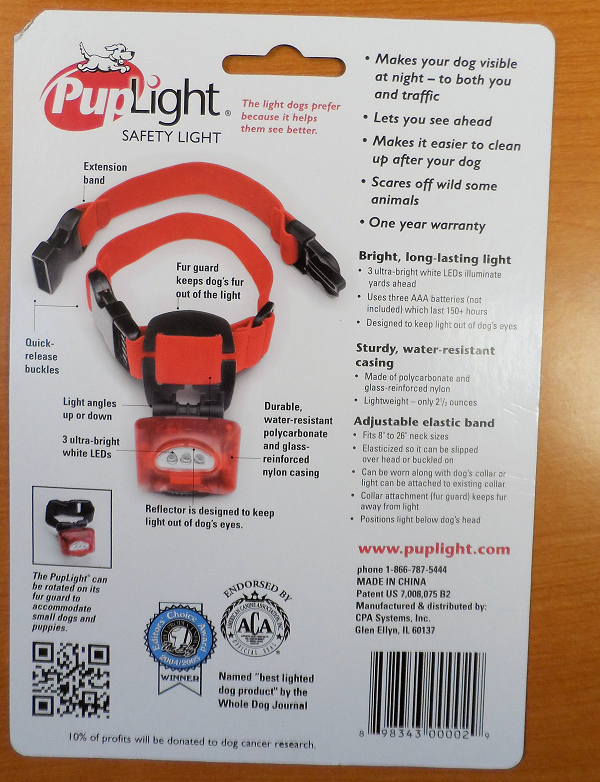 The PupLight comes with a collar and an extension band for larger dogs. It can also be worn on the dog's regular collar. The light is very bright, and it hangs down a little so it's not easily shaded by a long coat. The triple LED lights allowed my dog to see what she was doing - and I could see what she was up to. It also made cleaning up easier; I've tried carrying a flashlight myself, but that becomes complicated when holding a dog, a bag, and possibly a cell phone. Much easier to have the dog help out. If you're out and about at night, the PupLight is an inexpensive investment that might make life easier. One of the booths at Global Pet Expo that left the most long lasting expression was Armstrong's Crickets. Their exhibit both crawled and chirped! 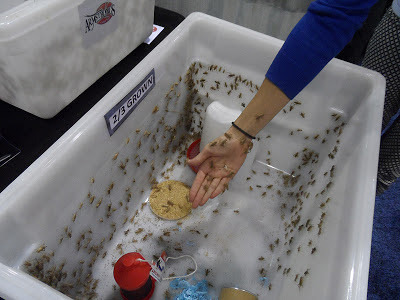 The booth also showed crickets in different life stages, from tiny to rather big. My incredibly brave colleague Maya got in close contact with them. I have to admit I'm kind of afraid of bugs, but these were cute. They didn't exactly like sitting on a person, but they were good sports for the photo opportunity! 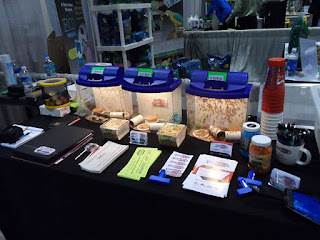 Last week, I had the pleasure of visiting the 2013 Global Pet Expo. 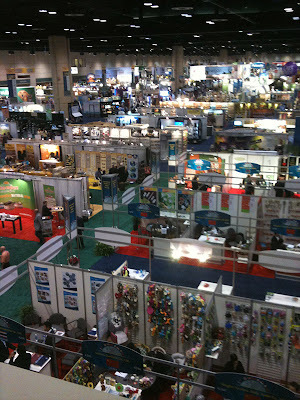 This is the pet industry's largest annual trade show and I knew it was going to be big. I didn't understand how big. There were nearly 1,000 exhibitors from 65 countries introducing everything from bone-shaped packing material to crickets! 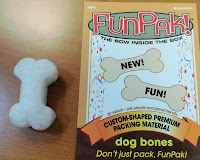 The bone-shaped packing material fascinated me; what a sweet gesture if someone buys a present for a dog lover! We had a booth, of course, showing the PlexiDor pet doors, the electronic door, as well as the security plate. I know I'm biased, but I love the backdrop with all the dogs! 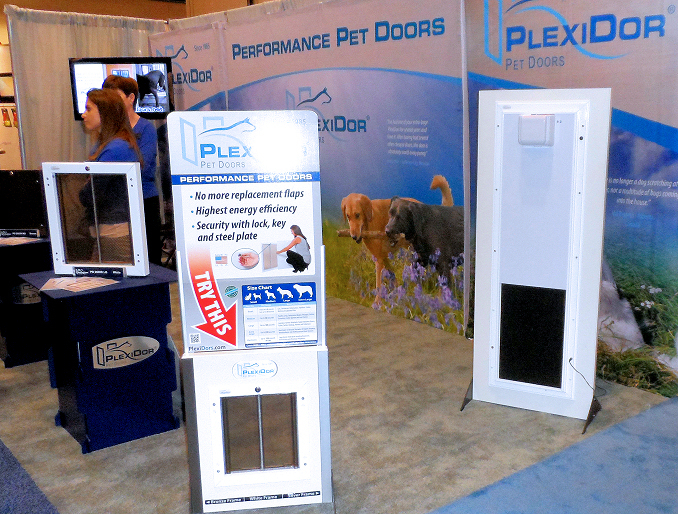 PlexiDor's booth at Global Pet Expo 2013. 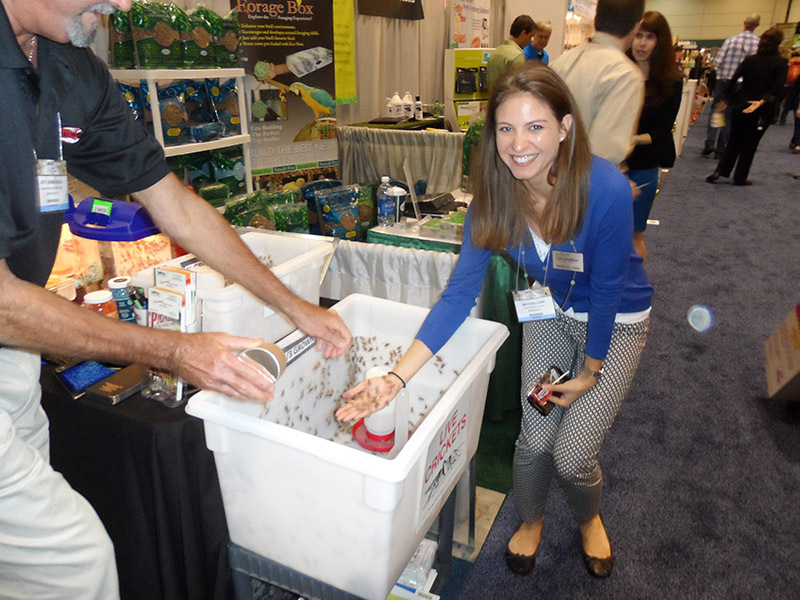 There were many new and fascinating products, and I caught the opportunity to get samples of some of them. Keep your eyes on the blog during the week; we will post some reviews and spotlights as our office dogs get to try everything. 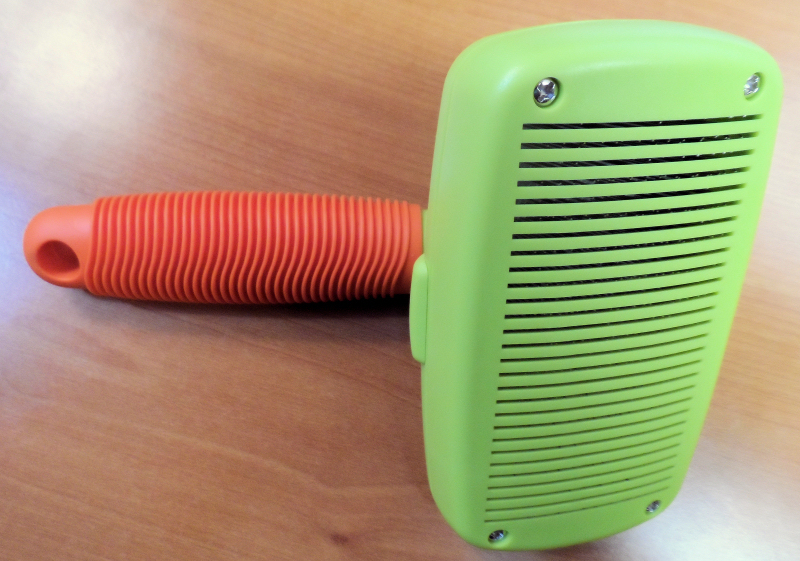 Pet brush with retractable bristles. I already have some personal favorites, like the Warm Ups - my dogs tried one last night, and thought it was the best thing ever. 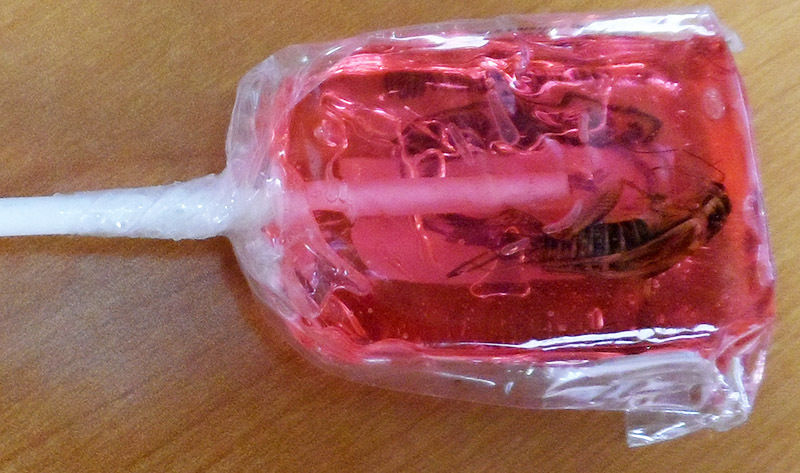 Other personal favorites are a self-cleaning retractable brush from the Idea Factory. The bristles disappear inside the brush with the click of a button, making the brush easy to clean and store. I also love the Wild Chews from Double E Pet Products. Antlers make great dog chews because they're healthy, give clean teeth, last pretty well even for intense chewers, and generally don't upset the dogs' stomachs like rawhide and other products can. More information and photos of all these things will be on the blog during the week. These overview images don't make the show justice, but at least it gives a hint to the size. 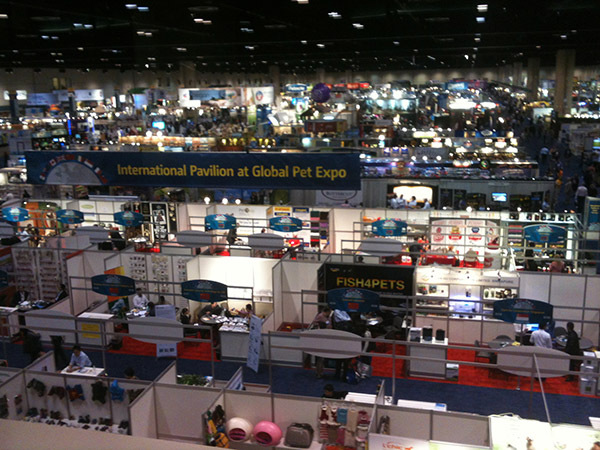 Now when I know what to expect, I'm already looking forward to the 2014 Global Pet Expo! 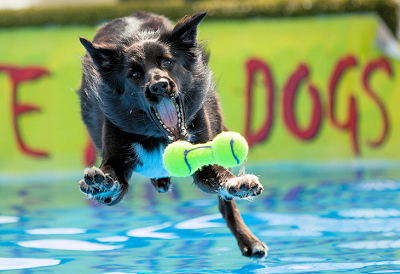 February 23 it's time for the fifth consecutive Orlando Doglympics. Everyone has an opportunity to shine and win an award, and there's everything from a Lure Course to Obedience Baseball and Peanut Butter Licks! A number of rescues will be there to show off adoptable dogs, Florida Service Dogs will be there, and a number of vendors offer their products. This year, the event serves as a fundraiser for the Doglando Foundation - an educational organization that promotes responsible dog ownership - and the arrangers expect some 6,000 visitors. If you want to check it out, it is at 3702 Avalon Park E Blvd in Orlando, FL, between 9 AM and 4 PM. Admission is free, and dogs are welcome. With that header it would be easy to think I'm talking about a man or woman in uniform, but no... While the US Marine Corps is surely filled with fantastic humans, this is a blog about pets. Meet Chesty! According to the Washington Times, Chesty is nine weeks old and has just entered recruit training. He is a pedigree English bulldog and future Marine Corpse mascot, and arrived at the Marine Barracks in Washington D.C. on Valentine's Day. The Marines have had official mascots since 1922, when a bulldog named Jiggs was officially enlisted. Jiggs lived on the base in Quantico, Virginia. The barracks in Washington DC have been the home of the Marine mascots since the late 1950s. 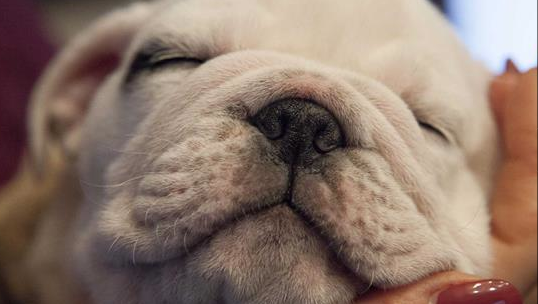 I bet this sleeping puppy has no clue what an exciting future awaits him. He is about to enter obedience school, and will eventually earn the title of Marine. He'll get to march in many events, and wear a custom made uniform. He'll be named the next Marine Corps mascot on March 29. Global Pet Expo is the pet industry's largest annual trade show, and takes place at the Orange County Convention Center in Orlando, Florida, February 20-22. The show is intended for industry professionals and grows every year. 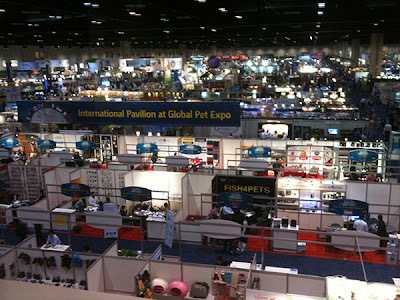 According to the Global Pet Expo website, this year presents 990 booths showing everything from pet beds to aquariums. To me, almost a thousand booths sounds incredible, and it inspired me to look up some numbers. 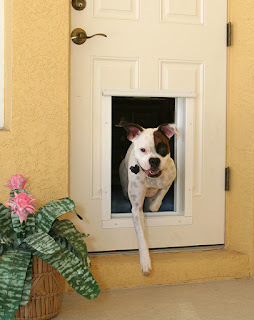 According to the 2011-2012 APPA National Pet Owner's Survey, 62% of US households own a pet, of some sort. This is approximately 73 million homes. The survey breaks ownership down in some interesting numbers. 86.4 million cats and 78.2 million dogs, that's a lot of cats and dogs! The APPA page also concludes American households spent approximately 20.43 billion dollars on pet food under 2012. The large number of pets is starting to affect businesses not traditionally geared towards this market. Many hotels across the country are installing new pet-friendly policies that include everything from pet pillows to gift packages with pet toys and treats. There are cat and dog spas, pet massages, and pet seat belts. Many companies one wouldn't associate with pets - like Harley Davidson and Old Navy - carry lines of pet products such as brand-name toys, gourmet treats, and clothing. 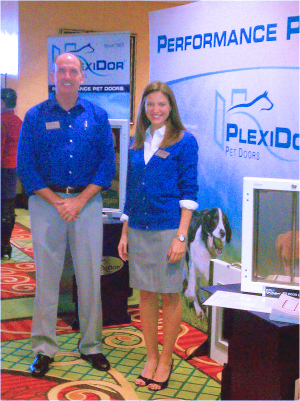 If you visit the Global pet expo, PlexiDor representatives Maya and Robert will be there to greet visitors and show the doors in action. The are at booth 1155 and love company, so if you're there, stop by and say hi to them! An electronic pet door lets your furry friend have a key to the home. 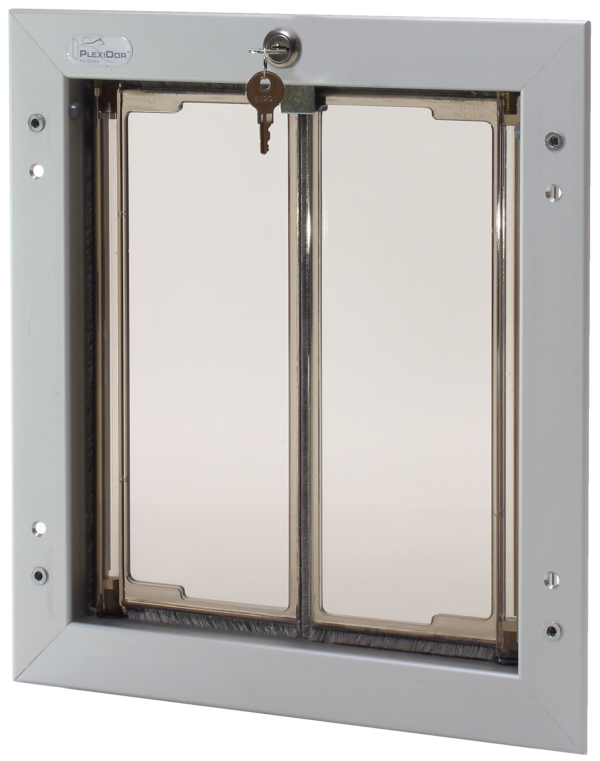 Many electronic doors just release a latch so the pet can push the door open, but the PlexiDor is a little different: it has a composite panel that slides up and down like a miniature electronic garage door. 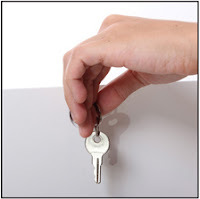 The door and key use RFID, and when a pet with a key comes close, the door reads the pre-programmed code. If it's the right code, it will open. 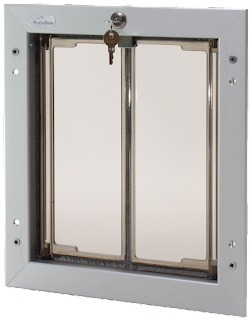 When the panel is closed, it acts as a security door. 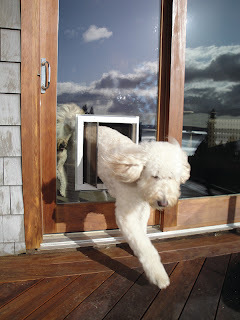 It has a safety to prevent it from closing if something is in the way, thus a pet's tail or paws can't get stuck in it. 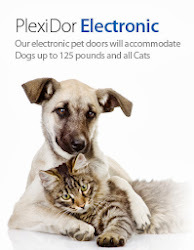 It is easy to program the door, and easy to add keys for more than one pet. One can also choose how long the door should stay open. Visit the PlexiDor website to learn more! Most dog owners know their furry friends have a fantastic sense of smell. Put into numbers, the dog's nose is truly amazing. Dogs can smell about 1,000 times better than humans. 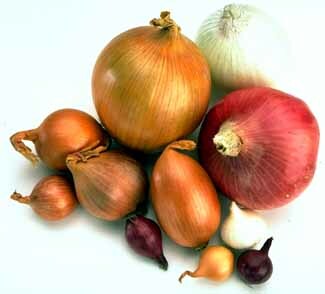 A human has about five million smell-detecting cells, while the average dog has more than 220 million. 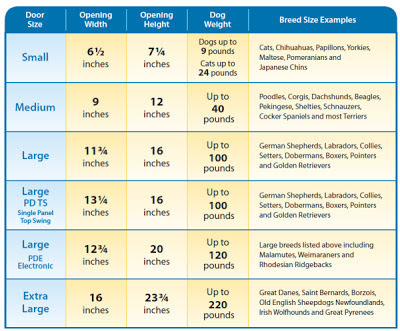 The part of the brain that interprets all this information is four times larger in dogs than in humans. Some dogs can smell dead bodies under water. They can smell where termites are hiding, and natural gas buried under 40 feet of dirt. Trained dogs can detect cancer too small to be detected by medical equipment, and can find lung cancer through sniffing a person's breath. Dog nose prints are as unique as human finger prints, and can be used to identify them. A dog's nose being wet means it can collect more of the tiny droplets of smelly chemicals in the air. Besides the nose, a pair of average dog ears also outclass humans. A dog can locate the source of a sound in 1/600 of a seconds, and can hear sounds four times further away than a human. 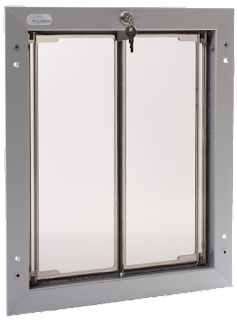 What size of PlexiDor pet door do you really need? 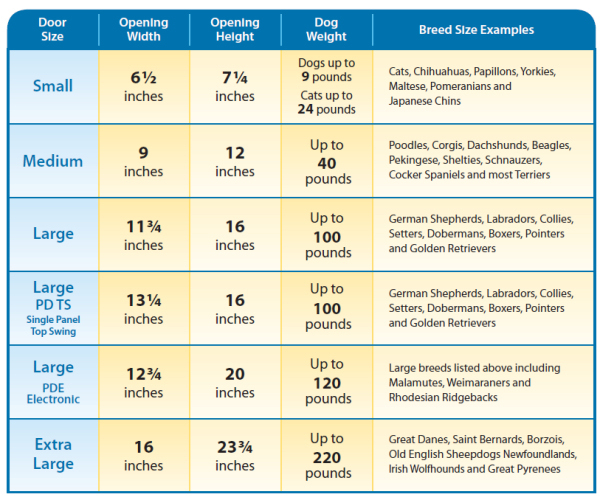 Don't be too worried if the door looks a little small; dogs generally duck their heads while going through, so the opening doesn't have to be as tall as the pet. 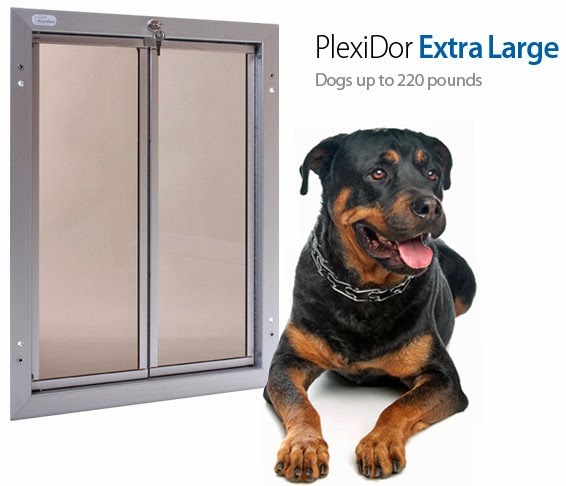 If you have larger and smaller pets together, the panels on the PlexiDor swing so easily smaller dogs and cats can usually open even large doors without problems. 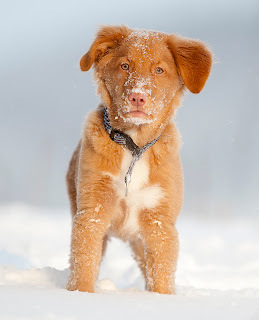 The Nova Scotia Duck Tolling Retriever, or Toller for short, is a Canadian medium sized dog bred primarily for hunting. The Toller is known to be athletic, compact, balanced, and powerful. They are very intelligent and affectionate, and have high energy. The Toller was bred to retrieve from icy waters, and these dogs have a water-repellent double coat paired with a soft, dense undercoat. They're generally red, and have webbed feet.